1. 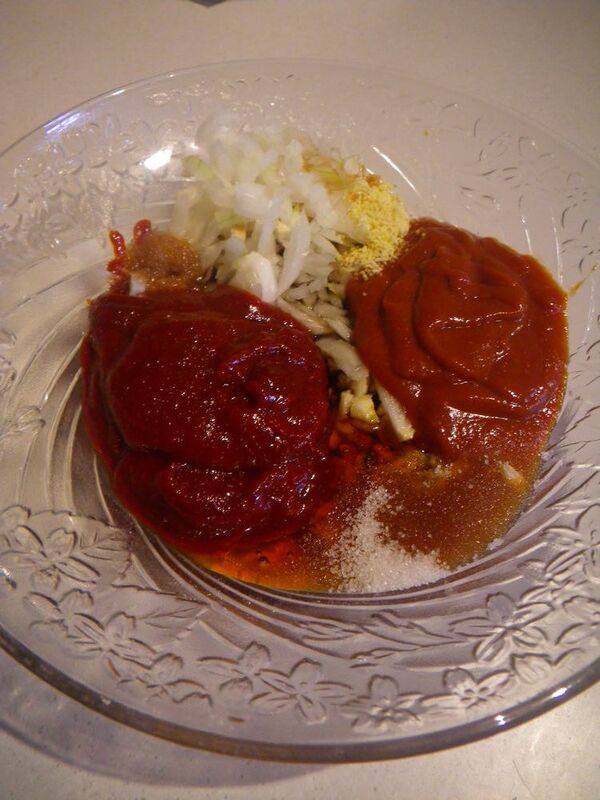 Make the marinade by mixing the ingredients in the “To make the marinade” section. Add the diced chicken to the marinade and mix well. Store in fridge overnight for the maximum flavour. 2. 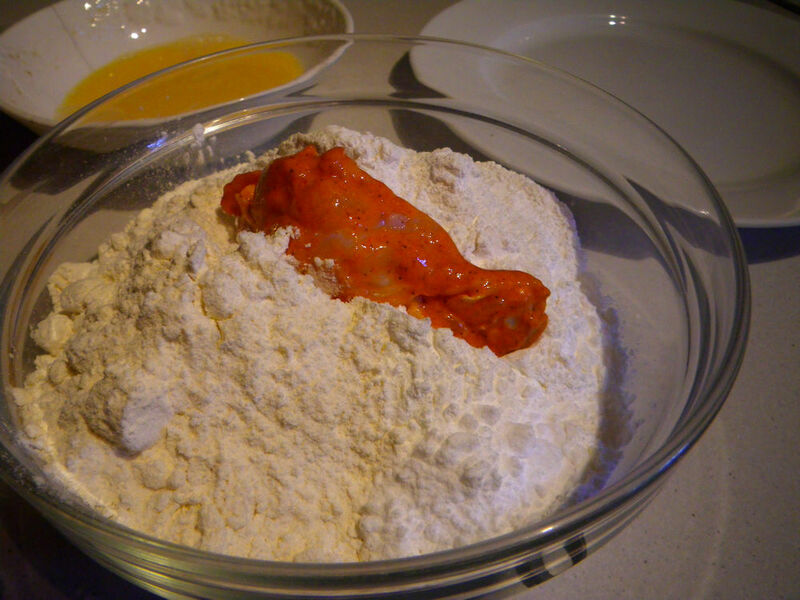 After the overnight marinating process, made the frying flour by mixing the three flours in the “To made the frying flour” section. 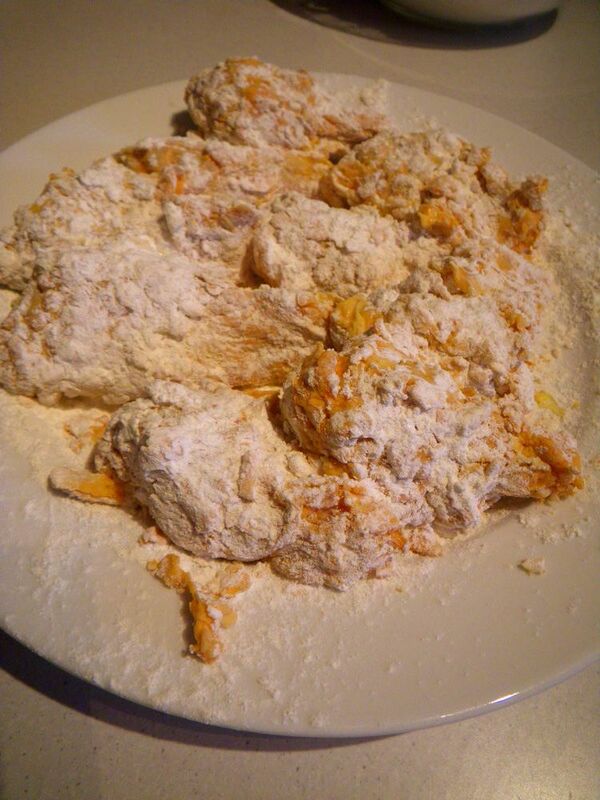 Cover the marinated chicken with the flour mix. 3. 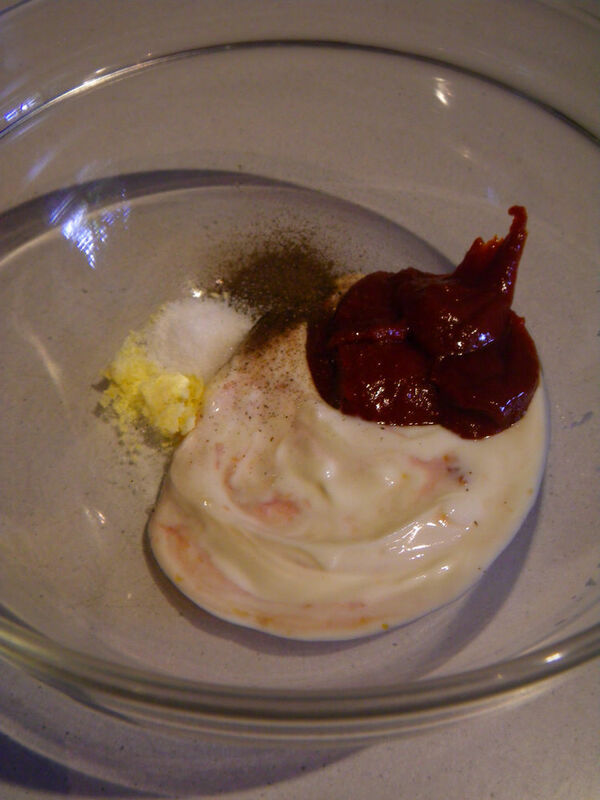 Beaten two eggs and dip the chicken with flour mix in the egg. 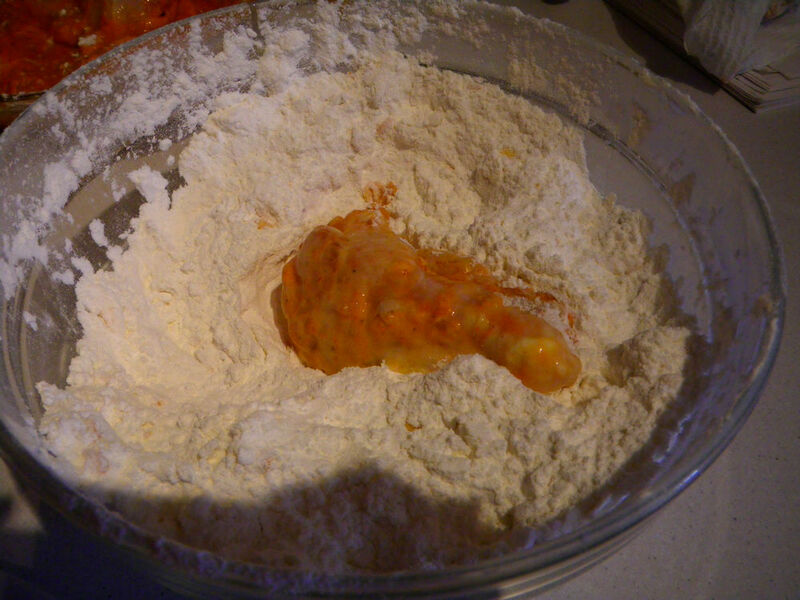 Then, dip this chicken piece back in the flour mix again. 4. 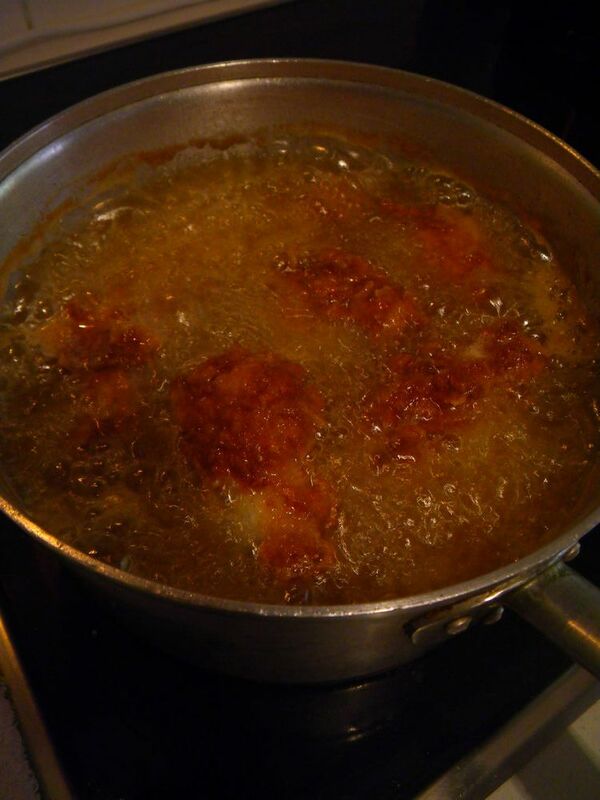 Once all the chicken pieces have undergone step 2-3, place canola oil into your fryer or a sauce pan. Turn on high heat initially and place the chicken in. Once the chicken stays as its shape, turn to low heat to fully cook/fry the chicken until golden brown on the outside. 5. 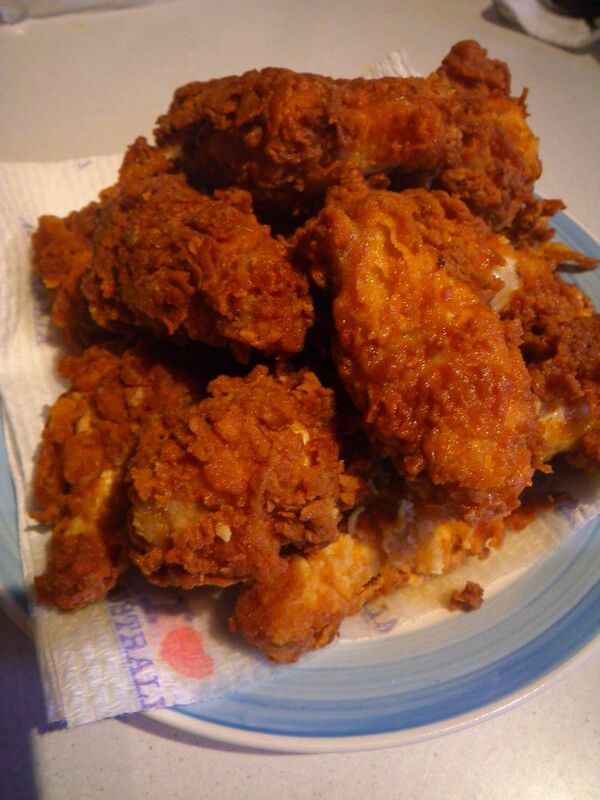 Place the fried chicken on paper towels to drain the oil. 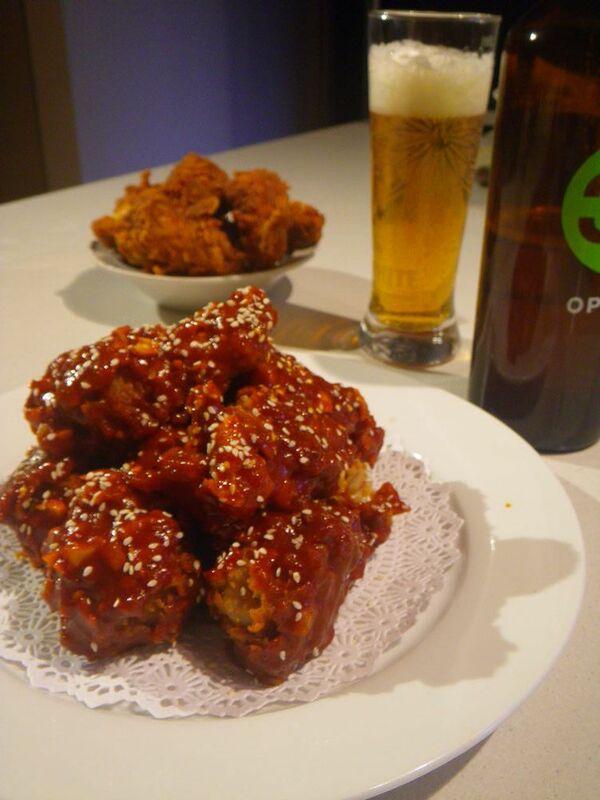 They are perfect to be served now as the wings are golden brown with a crispy crust on the outside and taste slight hot, salty and sweet on the inside along with the chicken’s original flavour. 6. 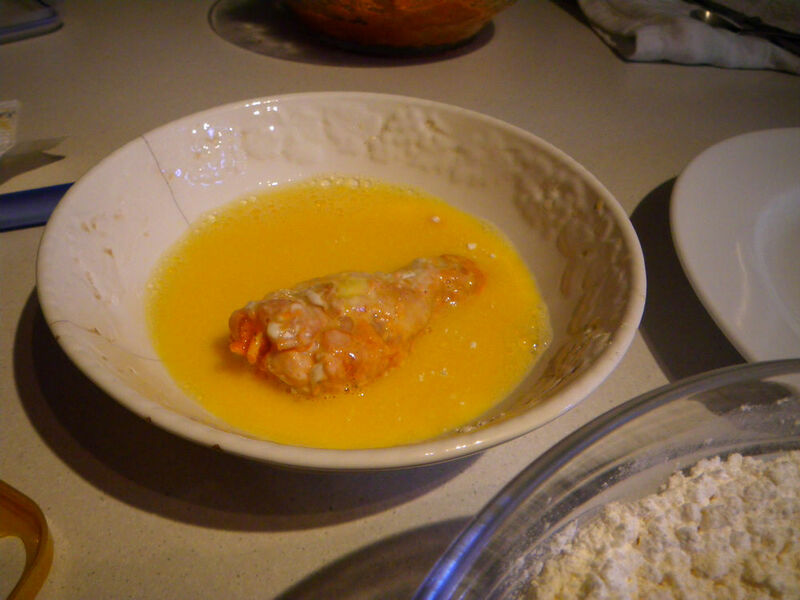 To make the fried chicken to be Korean, heat the ingredients in the “To make the dipping sauce” section in a sauce pan until the content boils. Then, take the sauce pan off the heat. 7. 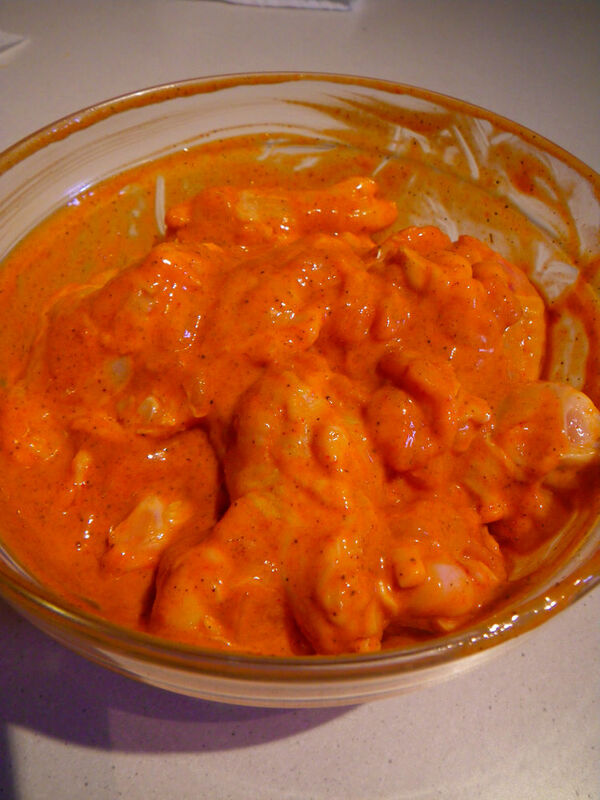 Now, dip the fried chicken in the sauce to let it just cover the chicken wings. 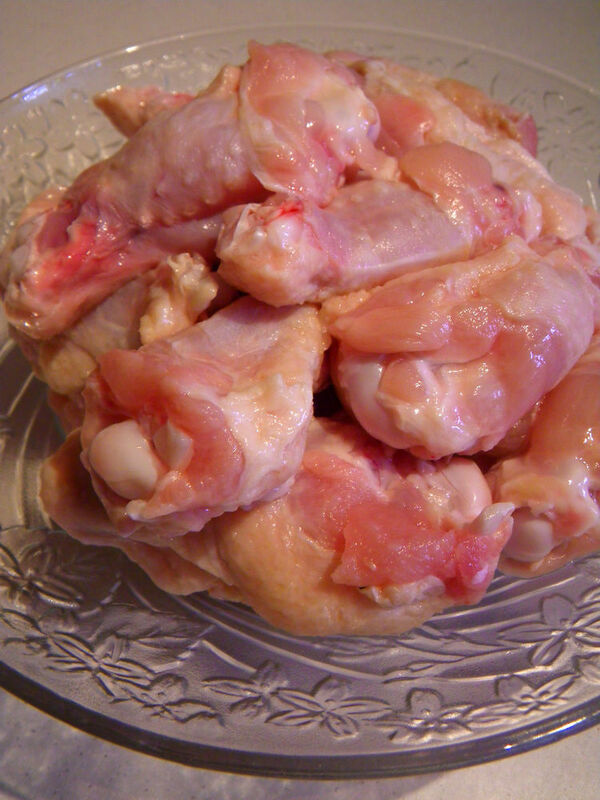 Take them out asap and make sure you do not leave them in the sauce for too long as the chicken can get quite salty. Do the same for rest of the chicken wings or simply just do half as the wings can be served two ways. Sprinkle while sesame seeds over the dipped wings. Taste-wise, the chicken wings are brilliant! 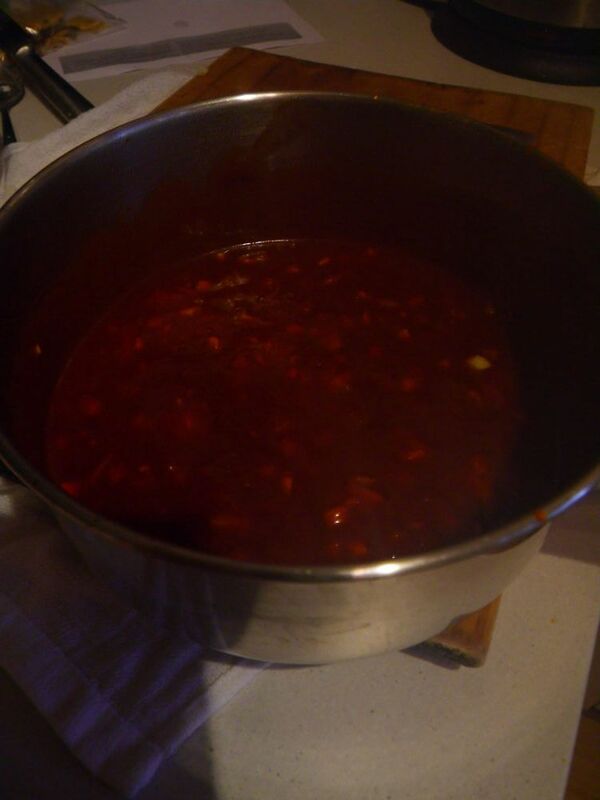 The Korean chilli sauce is sweet, hot and slightly salty while the tomato sauce added extra sourness and sweetness into the flavour. The inside of the chicken was hot and flavourful and both the inside and outside flavour complemented each other very well. The crusty coating was extremely crispy, even after dipping in the sauce. The chicken itself adopted some flavours from the sauces while still exhibit its own flavour and meaty strong texture. This was also a wonderful match with the outside coating. This combination of flavours worked well with beer, especially the nutty and barley flavours. Unfortunately, I did not have an Aussie beer in hand by that time and I used an Italian beer instead. However, I’d think our beer can be a better match for the chicken. Thanks and important to know that we have a delegation of Korean people coming to Adelaide for the WAA14 event at ACC 7-11 June – this will include a number from Jeju Island where the 2015 World Aquaculture Conference will take place. 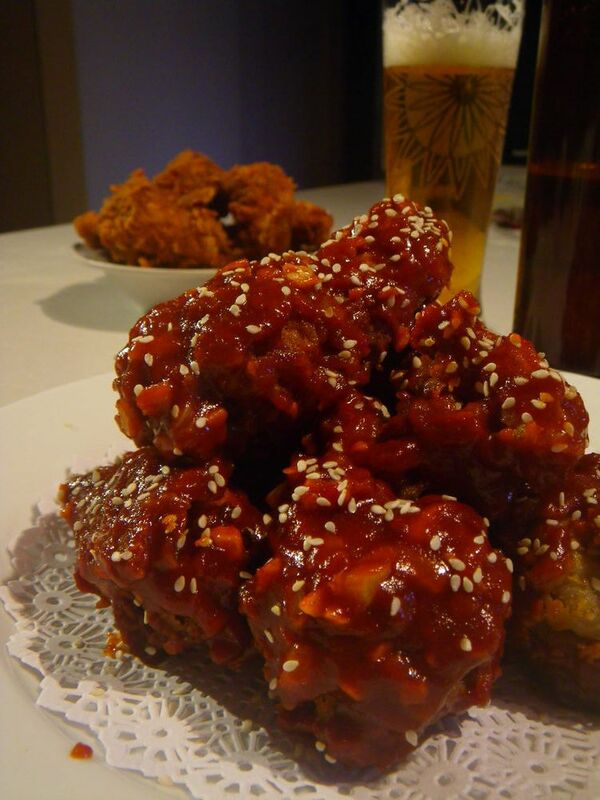 i love krn style fried chicken! The Korean has done a great job to put the country’s name out there. G’day and does seem to be the latest food craze Xin! Your recipe looks delish and I could go for some right now! 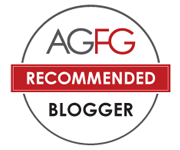 Thanks for the kind words Joanne! Last night when I was writing the recipe up, I went “I want to eat them right now” :D.